Prince William Soccer players 13U through 19U play as part of the Suburban Friendship League (SFL.) It is appropriate for recreational boys and girls of all levels and abilities. All coaches are volunteers and team sizes range from 14 to 22 players. 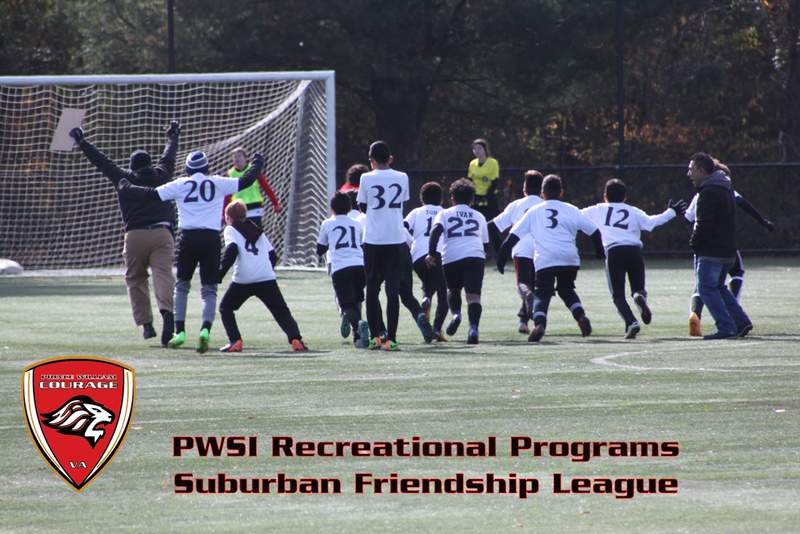 The Suburban Friendship League (SFL) has been operating since the Fall 1990 season providing scheduling services for recreational soccer teams. The league’s charter and decisions are based on whether the result is for the good of the players. During the spring and fall seasons, the SFL provides scheduling services to over 475 teams representing almost 30 different clubs. The majority of games will take place at Tyrell Park or Chinn Park. Teams practice twice a week and play games on Saturdays. The season will close with the SFL Tournament. Cost is $110 plus an additional $5 SFL fee. Uniform is an extra cost of $45, but can be used for multiple seasons.